The Soup Kitchen is an exciting, heart healthy concept for East Tennessee. We’ve been perfecting recipes and proudly serving folks in Tennessee for nearly 40 years. 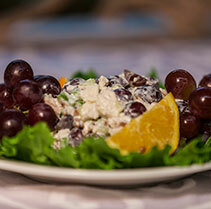 We take great pride in our recipes, the way our food is prepared and the ingredients we use. 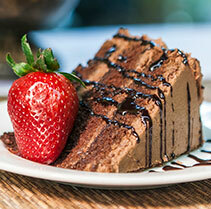 Our soups, breads, deli sandwiches, salads and desserts are made in-house from scratch daily by our dedicated team. Freshness is a key ingredient to Original Homemade Goodness! 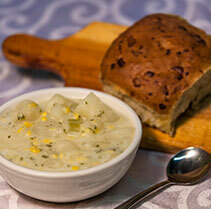 Each day we serve 8 styles of soup, 4-6 choices of homemade bread, select salads, sandwiches and desserts. All a part of our Original Homemade Goodness! 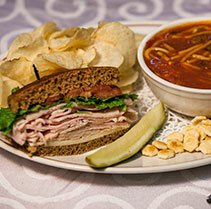 Please visit Knoxville’s Daily Menu Tab for today’s specials and soups of the day.